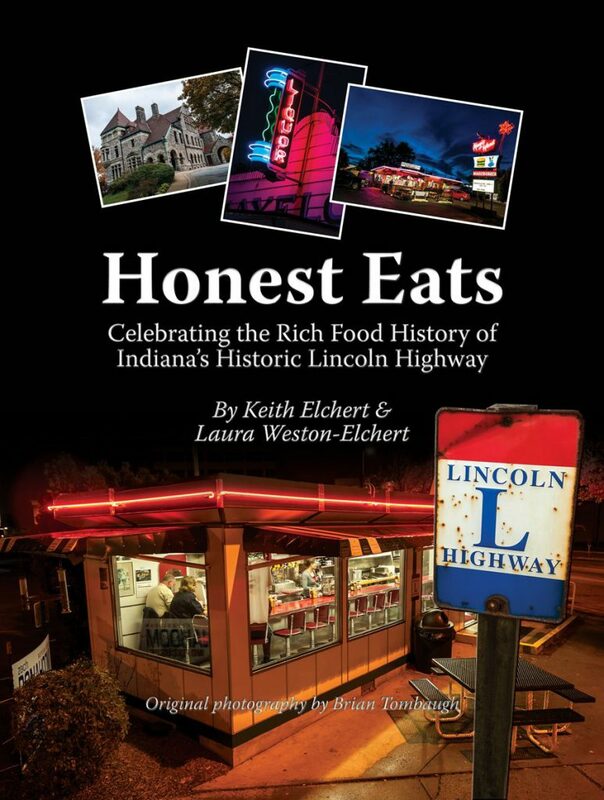 Keith Elchert and Laura Weston-Elchert have written a wonderful new book Honest Eats – Celebrating the Rich Food History of Indiana’s Historic Lincoln Highway. I had heard for the past couple of years about this book on restaurants along Indiana’s portion of the Lincoln Highway and looked forward to seeing it when it was to be released. I had personally walked the two Indiana alignments twice, once in 2011 and again in 2014, so felt I was a pretty knowledgeable guy about places to see and eat on its paths. I might even be the first one to order a copy the very day I got the email that it was about to be released from publication. Boy am I glad! Laura and Keith’s book is terrific and a good read for everyone…Hoosiers, Lincoln Highway tourists, history buffs, even those who love a good picture or postcard. Photographer Brian Tombaugh and Graphic Designer Amanda Reyher, along with many other contributors, make this a visually stimulating book in addition to the fine verbal content. The Lincoln Highway from New York City to San Francisco is often considered the “Main Street of America” and the Elchert’s book is a marvelous walk down that Main Street. It is full of old and new descriptions and photographs of nearly 100 Indiana restaurants that bring the Highway to life…through food. It introduces you to innumerable Hoosier entrepreneurs who have left their footprint on northern Indiana over the years. Along the walk they point out additional points of interest either on the Lincoln or nearby. And you get the added pleasure of some of the divine recipes they collected in their travels. SHOW IT by putting the book on your coffee table or business waiting room table for everyone to see…your guests will be both surprised and pleased to learn about this historic road and its significance. 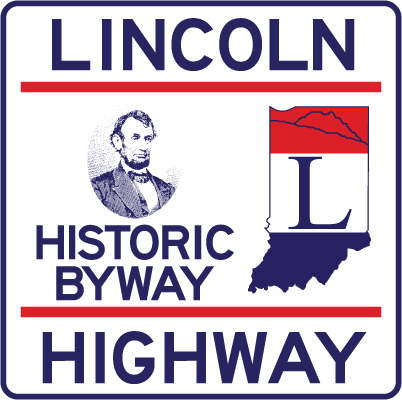 DRIVE IT…the Indiana Lincoln Highway that is. Use the book as a great guide across the state to find the listed points of interests and many more of your own. BUY IT! It will be a great addition to your home or library. You will not be disappointed.